My events for yesterday didn't go exactly as planned. The cold I tried to combat from developing into much last week seemed to have the upper hand and my boys where sick yesterday with fevers and hacking coughs. So instead of the gorge I stayed home, made soup, snuggled, and watched movies with my littles. I also spent a little time couch surfing during the movies that weren't keeping my attentions or I'd seen for the billionth time. Hoping this weekend we can get rid of this and, knock on wood, that I don't get it! Here are a few of my favorite finds (in order of images). 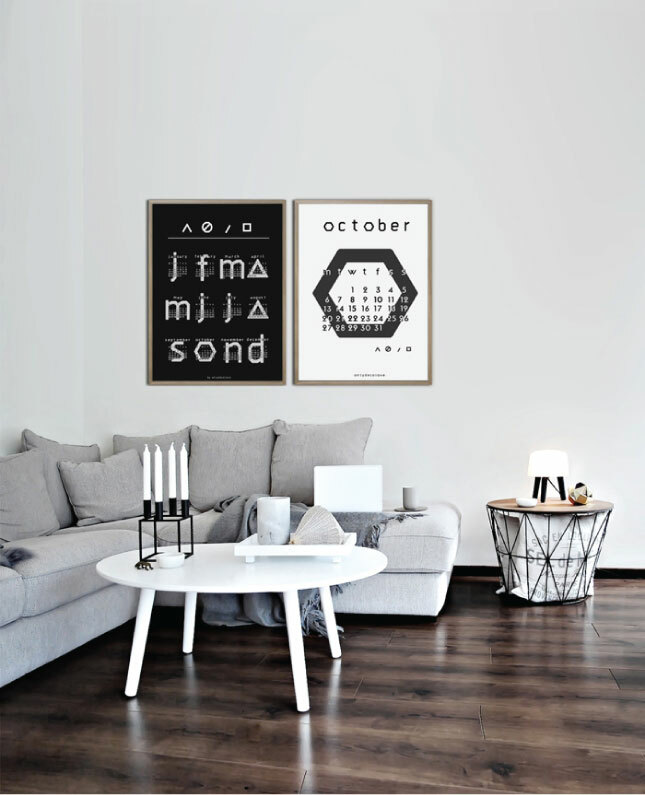 This amazing free printable calendar from Only Deco Love. I was actually going to make one myself, but I found this and thought it was likely much (much) cooler than anything I would have come up with. 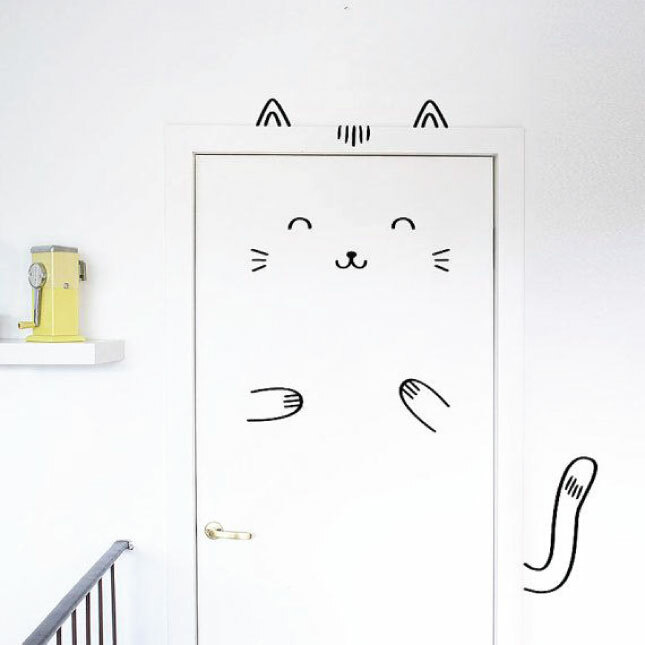 These adorable wall/door decals from Made of Sundays on Etsy. Do you think one of each would be too much? I love this space found first at SF Girl By Bay, though you can see the entire tour here. I am always looking to maximize my space and find storage solutions, so I think these platform bed ikea hacks are pretty clever. 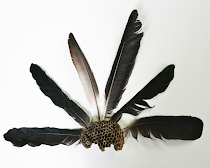 I actually thought of trying something like this for M+L's room make-over, but maybe next time. As a little girl, I would have killed for that bed in the last picture. Actually, it's making me a little depressed that Ikea wasn't available when I was a little girl. That's a huge bummer! I hope the little ones are feeling better and that you'll all be able to enjoy the weekend to the full. 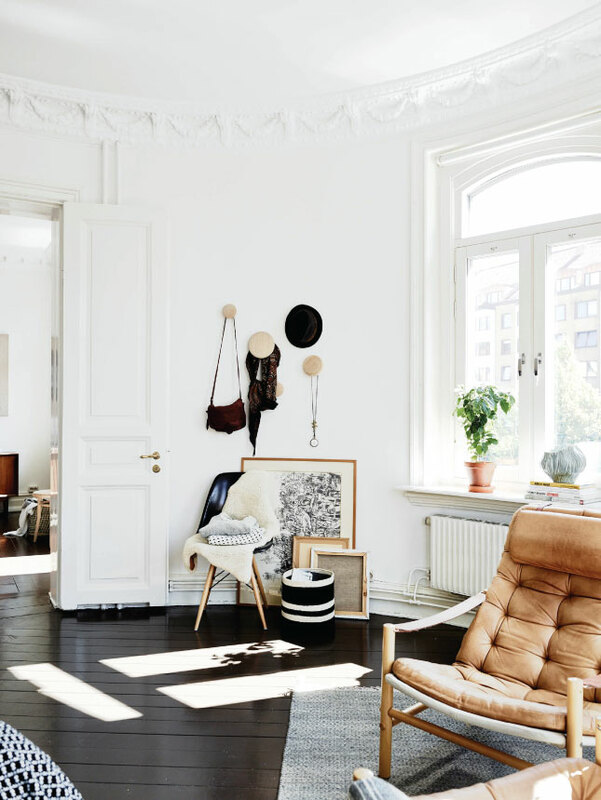 Love the room in the 3rd image: flooded with natural light, artwork propped against the wall, the Eames chair and woven basket (that's what it looks like at least) close by, everything looks so cosy. Soup and movies sounds like the perfect cure! I love that bed, I just made mine out of pallets, discovered a low bed makes a small room seem way bigger! And I love those wall decals, thanks for sharing! Oh yuck. Sorry to hear that you are your littleuns got sick. Rather now than in the depths of the oncoming winter though right? Hope you and yours are feeling better? Loving the beautiful clean light in the images above!